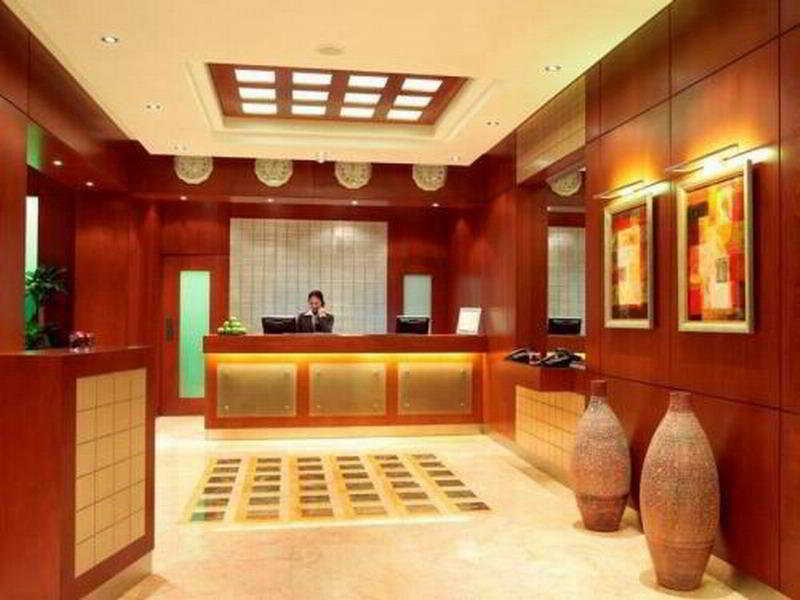 Ideally located 20 minutes from Abu Dhabi International Airport and 10 minutes from the ADNEC Exhibition Centre, the hotel offers guests convenient access to several local businesses and attractions. The Al Rawda Arjaan by Rotana hotel is centrally located in Abu Dhabi, next door to Al Wahda Mall and close to other landmarks. It features a fitness centre, a restaurant, and offers access to a private beach area at an extra cost. The modern guestrooms include a balcony, a kitchenette and a seating area with satellite TV. The Al Dar restaurant offers buffet meals and and a wide selection of continental cuisine, whilst in-room dining is available by 24hr room service. Other facilities offered by the hotel include laundry and dry cleaning, safety deposit boxes and parking. Abu Dhabi International Airport is a 20 minute drive away and the ADNEC Exhibition Center is a 10 minute drive away. Guest accommodation comprises 109 rooms. A lobby and a reception are available to guests. The upper floors of the hotel can be accessed by lift. 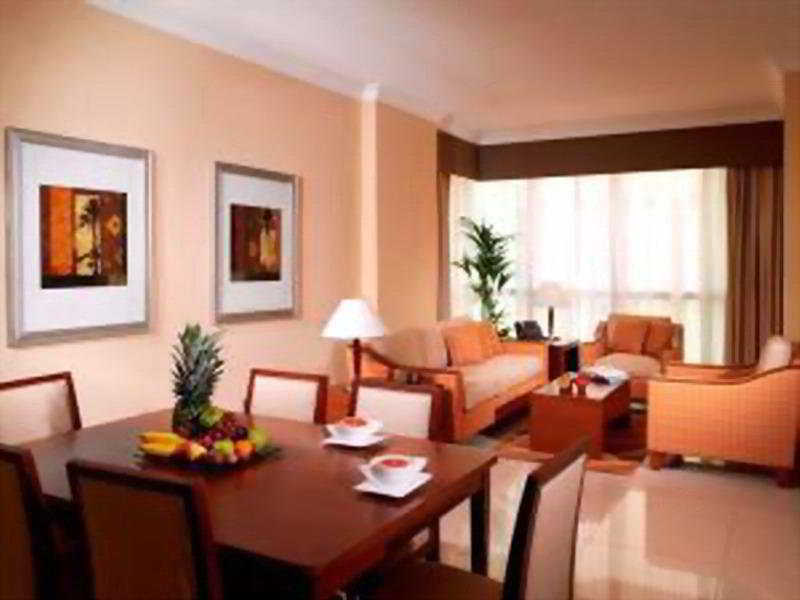 Services and facilities at the hotel include a restaurant, a dining area, a café, room service and a laundry service. Wireless internet access in public areas (for a fee) allows travellers to stay connected. Those arriving in their own vehicles can leave them in the car park of the accommodation. Each of the rooms is appointed with air conditioning, a kitchen and a bathroom. There is also a safe. A kitchenette equipped with a fridge, a mini fridge and a tea/coffee station is also provided as standard. In addition, there is a washing machine and an ironing set. Internet access, a telephone and a TV add to the comfort of the holiday. The bathrooms have a shower and a bathtub. A hairdryer can also be found in each of the bathrooms. The establishment offers family rooms and non-smoking rooms. Catering options available at the hotel include half board and full board. Options include breakfast. The hotel offers attractions including sport and entertainment opportunities. The accommodation features numerous leisure facilities, including a pool and an outdoor pool. The establishment offers a gym (for a fee) to guests. 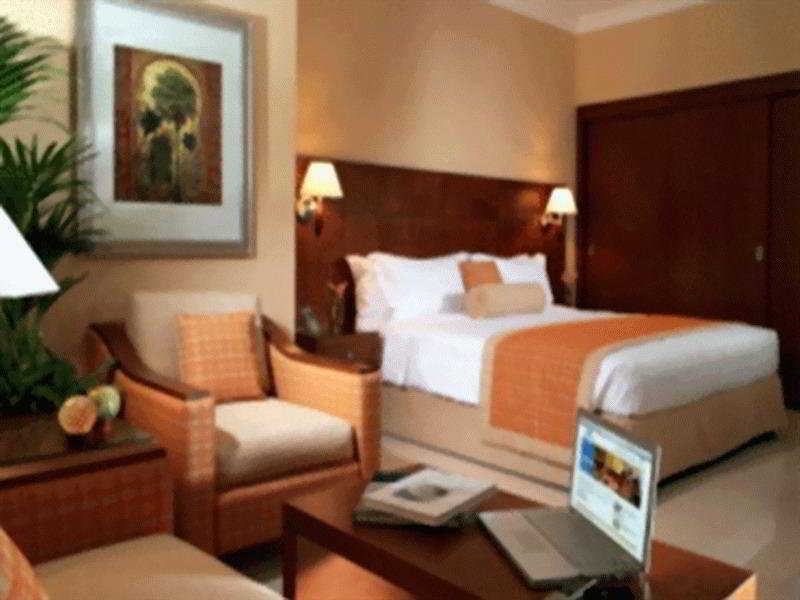 Your room your choice – We, at Rehlat believe you in offering a comfortable stay at Al Rawda Arjaan by Rotana. 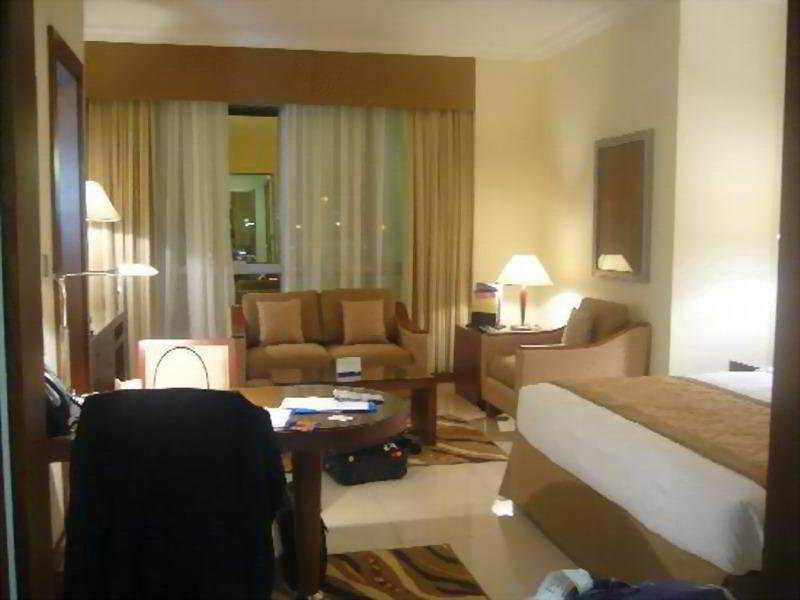 Get online hotel booking done for Al Rawda Arjaan by Rotana with great discounts, offers, and last minute hotel deals. If you are confused about your choice and thinking if Al Rawda Arjaan by Rotana is really comforting and offers good services, then read real time hotel reviews on Rehlat from guests who have already stayed there. Besides this, you can also select room of your choice at Al Rawda Arjaan by Rotana; be it a single room, double occupancy, or a suite, Rehlat guarantees the best and the cheapest hotel booking charges. Booked and now want to know, what’s in store for you? No worries! Rehlat has charted out the check in and checkout, amenities, services offered, room details, and all other information about Al Rawda Arjaan by Rotana at one place. Moreover, leisure travelers can ideally stay at Al Rawda Arjaan by Rotana with a mesmerizing view of the city's exquisite skyline. Hotel guests of Al Rawda Arjaan by Rotana can enjoy the stay more by visiting the excellent shopping and fun areas in the vicinity. Budget hotels with real time hotel reviews and huge discounts and exciting offer. 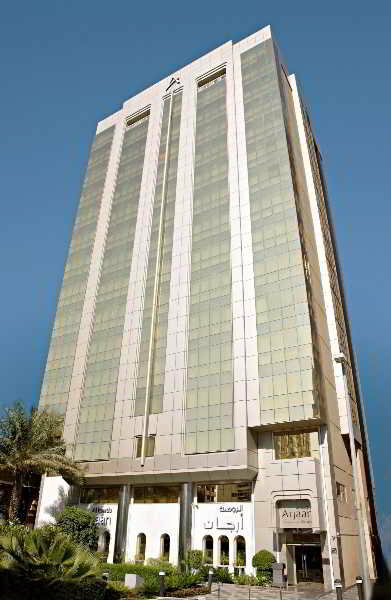 We guarantee best price for Al Rawda Arjaan by Rotana. Get Al Rawda Arjaan by Rotana reservation done instantly at Rehlat.